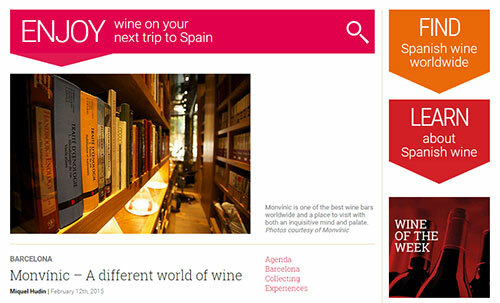 Amazingly it seems, I’ve never fully written up anything on this site about Monvínic, the renown wine bar in Barcelona. I’ve definitely been there plenty but being that it’s something of a place for people quite serious about wine (the owner Sergi Ferrer-Salat has an amazing winery in Priorat called Ferrer Bobet) it’s not typically a place I would check in to when casually meeting up with people in Barcelona. There was also a spat of time where I was really, really put off by the service. Then a couple of weeks ago, a new website called Spanish Wine Lover asked me to write up a profile about it and so I thought it a good opportunity to venture forth and see what they’d been up to since my last visit, especially as they now have their store. The end result was a rather lengthy article that showed that they’ve been continuing to grow and thrive. Naturally, as they have the means, I still feel that they should explore even more in the unique regions out there such as in Eastern Europe or the Caucuses and less French but when you have a French manager of the bar, it’s what you get and I’m generally not unhappy with what I taste there from my neighbor to the north and so it shall pass. The best way to fully wrap your head around Monvínic is to think of this sleekly designed bar on the left side of Eixample district of Barcelona as the sun at the center of a wine solar system. Opened in 2008, the bar has exuded a massive gravitational attraction to any wine lover that visits the city and wants to explore. This is due to the bar being an extension of owner Sergi Ferrer’s own passion for wine. The seeds for what would become the bar started long ago with Sergi making his money in the pharmaceutical industry and having wine as his other passion. In 2000, he met Isabelle Brunet who had briefly worked at the famed El Bulli restaurant and a wine shop called, La Vinya in Barcelona. Sergi had a worldly collection of wine as well as wine books at his home and he was always inviting people over to share in both.